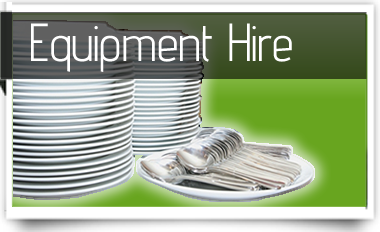 We offer a wide range of catering equipment and function decor to hire for your function or event at competitive rates. 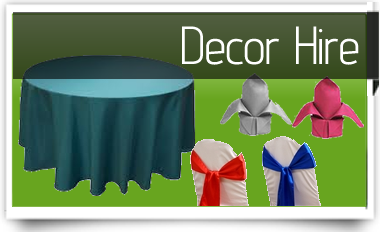 Our catering and function equipment includes quality Tablecloths, Table Overlays, Table Runners, Chair Covers, Chair Tiebacks, Serving Stands, Crockery, Glasses, Cutlery, Tea Accessories, and other Decor to Hire. You can browse our product range for hire via the navigation menu at the top. We offer an Online Hiring Service where you can add all the products you would like to hire to your online basket and submit the hiring order straight to us. We are continually expanding our ranges so if there is something you would like and you cannot find it place an Online Hiring Enquiry.